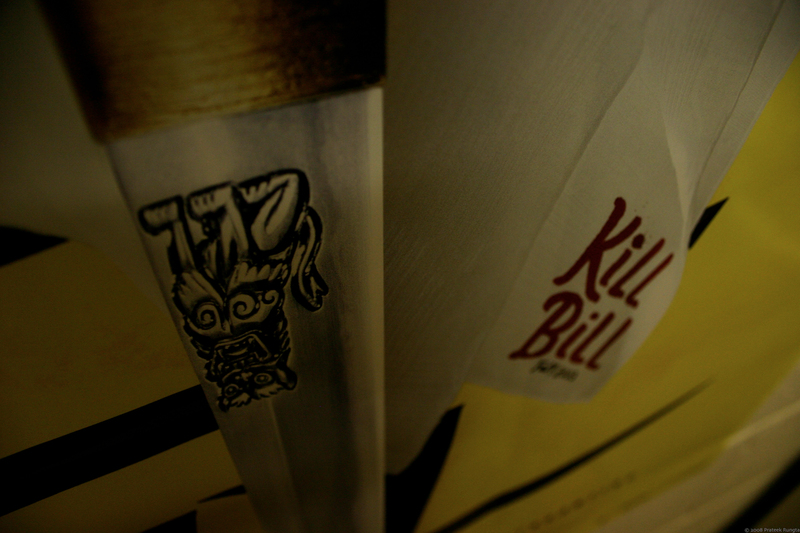 You do know that’s a Hattori Hanzō sword, right? Makes for a great desktop background too! The preview is good change, but is a bit slow. Plus there is a big- If the comment gets long, the preview is cropped. Wants One. Should I ask Tarantino or Uma Thurman? Maybe there’s one amongst the ruins of Budd’s motorhome. The preview is deliberately slow. Its just there if you need it. As for it getting chopped, I was aware of that but forgot about it (been occupied). Thanks for reminding me, just fixed the bug. It sure looks awesome on my desktop! :) This is a very nice shot. Even though I don’t relate to this picture, since I haven’t seen Uma Thurman acting, it sure looks awesome. It’s like having successfully completed a treasure hunt for some mystic force. Nice shot. Abhishek you really should watch atleast one of the Kill Bill movies. They are not on my favorite lists but they are certainly worth a watch just to see Tarantino’s unique direction. PS: Watch his Reservoir Dogs if anyone hasn’t. Kaante was a remake of this movie.